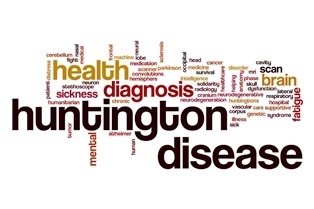 Huntington disease (HD), also known as Huntington chorea and Huntington’s disease, is a progressive brain disorder that causes uncontrolled movements in the body, a loss of cognitive abilities, and emotional problems. An inherited condition, HD causes the brain’s nerve cells to break down and die. There's no known cure for HD, and doctors have found no treatment that will slow down the progress of this condition, stop it, or reverse it. Treatment for HD is usually focused on symptom relief and reducing the severity of the complications associated with the condition. If you’ve been diagnosed with HD, it’s likely you qualify for disability from the Social Security Administration (SSA). Because the SSA cites HD as a neurological disorder in section 11.17 in its Listing of Impairments, it may be easier to receive benefits for this condition than for others. Additionally, the SSA includes HD in its Compassionate Allowance Program. However, because filing for disability can be complicated and often frustrating, it’s important to hire an experienced Social Security (SS) disability attorney to help you with your claim. After being diagnosed with HD, or if you know that this condition runs in your family, it’s important to have the facts so you can better understand your future, address any symptoms, and know what to expect as the disease progresses. Here's some important information about HD. HD occurs because of a single defective gene in chromosome 4. Called a CAG repeat, this defect causes part of the body’s DNA to develop more times than it’s supposed to. In patients who have the HD gene, the segment repeats 36 to 120 times as compared to a segment repeat between 10–28 times in those who don't have the HD gene. It’s a myth that HD is a “male disease.” Both women and men can have the HD gene at birth. Additionally, if your mother suffers from HD, it’s likely your HD will occur at around the same age she experienced the onset of the condition. However, if your father has HD, you will likely develop the condition earlier than he did. It’s also important to know that the gene mutation that causes HD never skips a generation. Because the gene that causes HD is a dominant gene, any child of parents who have HD has a 50/50 chance of inheriting that gene. To develop the condition, a child only needs one copy of the mutated gene from either parent. If the child does inherit the gene, he will eventually develop HD. If the child doesn’t inherit the gene, he won’t get HD or pass it on. When researchers discovered the HD gene, it became possible for genetic testing to confirm a diagnosis of the disease. By taking a blood sample, a patient’s DNA can be analyzed for the mutated gene by counting the number of CAG repeats. This test is also available for people at risk for HD but who have not yet shown symptoms of the condition. For patients who are asymptomatic, this predictive testing generally includes counseling before and after the results. Deciding to have the genetic testing for HD is sometimes a difficult decision for patients. While some want to know the results to plan for the future, others prefer to wait until doctors find a cure. Because having the results of this test can influence major life decisions such as whether to have children, it’s recommended that patients seek available support from clinical geneticists to help with these issues. HD is an incurable condition, but doctors use different types of medications to help control patients' problems with movement and the emotional issues they face when dealing with the disease. Haloperidol, which is an antipsychotic drug, may be used to help reduce these hyperkinetic movements, as well as decrease the number of violent outbursts and hallucinations. Sertraline, nortriptyline, and fluoxetine may be used to help with patient depression. If a patient experiences anxiety, agitation, or irritability, he may be given tranquilizers. Most medications have side effects, so it’s important that your doctor consider them and drug interactions when prescribing any treatment. Currently, there are no medications that have been proven successful or helpful in treating the cognitive problems associated with HD. If you’ve been diagnosed with HD, you may easily qualify for SS disability benefits. However, it’s important to hire an experienced SS attorney to help determine if you meet the SSA's Blue Book Listing for this condition or qualify for its Compassionate Allowance Program. Contact the attorneys at Cuddigan Law who can help you understand the process and work with you on your application to increase your chances of getting an approved claim.